James Milner was delighted with the impact made by Mohamed Salah and Sadio Mane on their return to Liverpool action following a post-World Cup break. 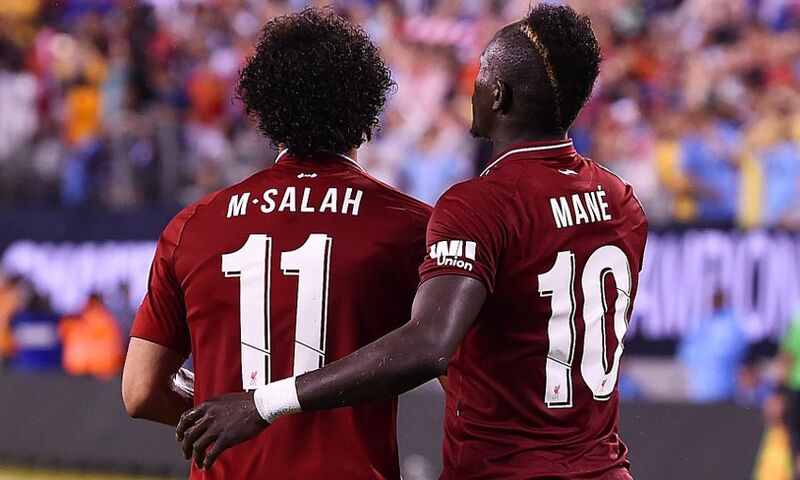 The fleet-footed duo, who were given extra time off after featuring for Egypt and Senegal respectively in Russia over the summer, made their first pre-season appearances as second-half substitutes against Manchester City. And both men wasted little time in reminding supporters of their qualities, scoring a goal apiece to give the Reds a come-from-behind win over Pep Guardiola's team. Asked about their contributions, Milner told Liverpoolfc.com: "It shows how much they give to the side, with and without the ball and the chances they create. "They probably could have had three [goals] each. "That's pleasing signs for their first action and they're obviously sharp and don't need too many practice matches by the looks of it." The No.7 was also impressed by another strong performance from Academy starlet Curtis Jones, who has been one of the Reds' standout players in pre-season. Reflecting on the Scouser's recent development, Milner added: "The more games he gets with us and the more sessions, you see him getting better and better. "It's a big transition from youth football to the first team but you can see him improving massively each day and that's just being around the lads and watching what they're doing and how they're playing. "[Young players are] still going to make mistakes, that's what we're there for, to try and help them along. "But you can see how much ability he's got and the more time he spends with us the better he'll get."